Identity Management is at the crossroad of technology, culture, governance and processes of any enterprise. Therefore, managing identities of large enterprise requires some very specific skillset, knowledge and that few companies can deliver. Our experts understand the current security requirements and the need for the identity of people to be managed in the most effective and unobtrusive way. 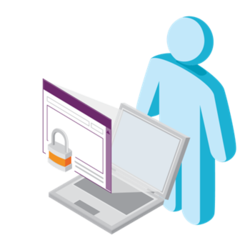 Protecting identities and effectively managing access has become increasingly challenging. Using our Foundation Builder approach, CSC identity specialists assess your current state of identity management and evaluate the best paths forward to help meet your goals. As enterprises use more and more applications, managing users becomes a very daunting task. Identity and Access Management becomes very important in context of managing security, adhering to regulatory compliance. IDM involves managing end to end lifecycle of the user, right from joining till the user leaves the organization. 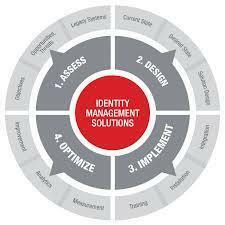 Oracle Identity Management is a complete and integrated, next-generation identity management platform that provides breakthrough scalability; enables organizations to achieve rapid compliance with regulatory mandates; secures sensitive applications and data regardless of whether they are hosted on-premises or in a cloud; and reduces operational costs. Our comprehensive solution for KYC needs in the Telecom, Banking and Non-Bank Financial Company Industries.